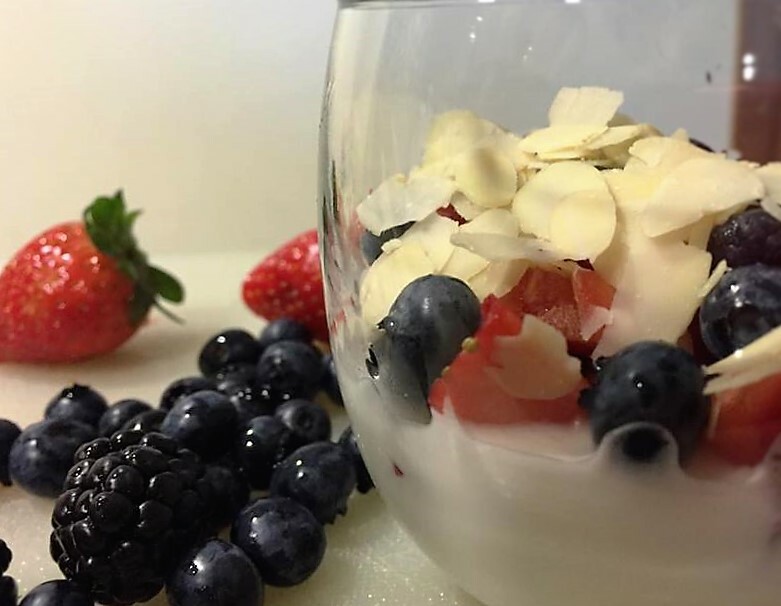 Greek yogurt 1 cup offers 13 to 20 grams of protein, and it contains fewer carbohydrates and 50% less sodium than the regular stuff. 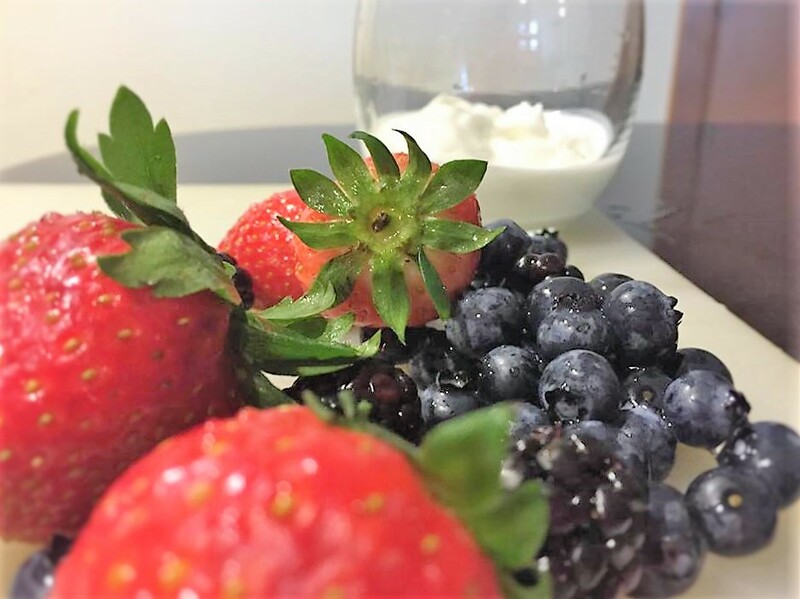 Blueberries are Full of Antioxidants and Vitamins. They aid digestion and UT Health, slow the breakdown of bones, lower Heart Disease Risk, reduce Belly Fat, improve vision, prevent cancer and enhance mood. Honey is anti-viral, anti-fungal and a powerful antioxidant. It helps ward off allergies, soothes sore throats and is a natural expectorant. It also stabilizes blood pressure and balances blood sugar levels, boosts immune function, promotes digestive health. Flax seeds are high in fiber, in antioxidants and in Omega-3 Fatty Acids. They promote healthy skin and hair and help with weight loss. In addition, flax seeds lower Cholesterol, promote digestive health, fight breast, prostate, ovarian and colon cancer. 1. In a serving glass or cup, add Greek yogurt. 2. 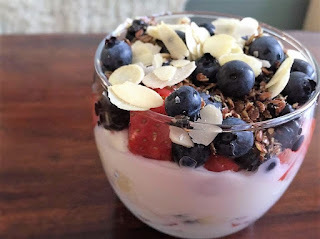 Top yogurt with strawberries, blackberries, blueberries, honey, flax seeds and sliced almonds. 3. Mix and enjoy each spoonful!